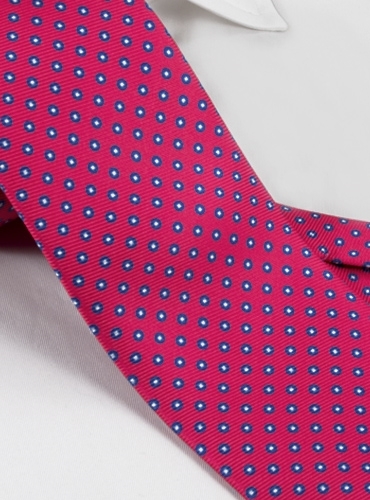 Our vibrant English silk printed neckties feature classic polka-dots on brilliant grounds. Entirely hand sewn. 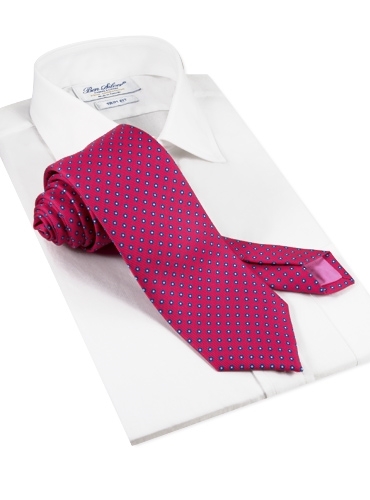 Shown here in D-pink.